“Shadowcry” play Modern Melodic Death. Their music was originally influenced by bands like In Flames, Children of Bodom, Shadows Fall and Hypocrisy but developed into a very individual sound and style within a short period of time. Typical for the sound of “Shadowcry” are the rousing Head Bang-Riffs, the melody-parts and the warm clean-riffs. They try to diversify. The crowd can await everything… from sharp screams to stirring clean vocals. So they are a very special live-experience. 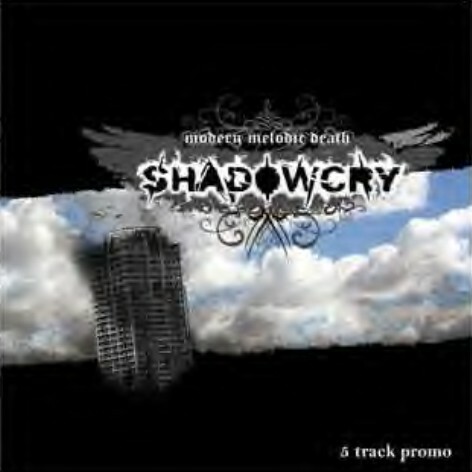 “Shadowcry” was finally born in August 2006. The motivation for their own music was growing very fast and after a lot of rehearsal and song-writing sessions they started to play live and a lot of successful gigs followed. The strong will to call attention to the problems nowadays - from personal to worldwide views - can be found between the lines of their lyrics and the tunes of their sound. “Shadowcry” is motivated, hard working and eager to learn and they really want to spread their musical message! So be ready and open your ears!